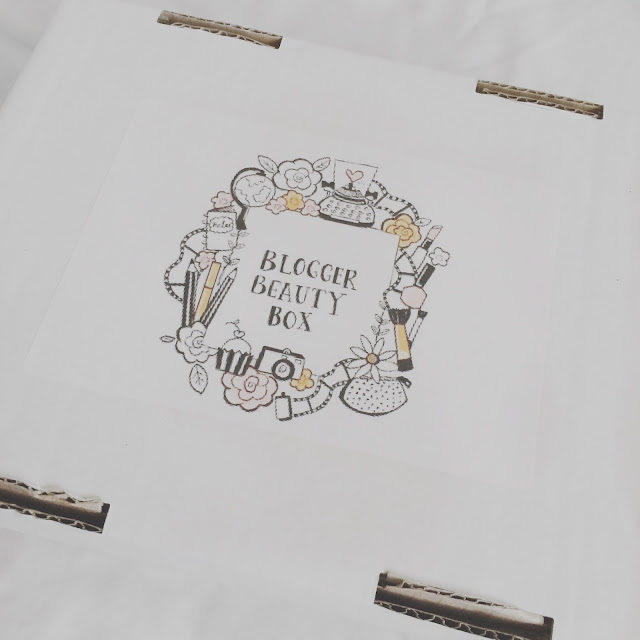 Today's blog post is gonna be all about the Blogger Beauty Box, which is Septembers box and it's contents. This particular box is just £10 which includes the post & packaging and there is only a certain amount of boxes available each month. Now I've tried quite a few "beauty boxes" from different brands and with this one I like the fact that it's not a subscription box that you get charged for each month without fail. With this particular one you only pay for it if you sign up to the reserve list and then wait for the email asking you to pay for it if you've been lucky enough to secure one of the boxes. I randomly came across this box after seeing a tweet go out over on Twitter and it immediately caught my eye, so in August I signed up and then sent payment over for Septembers box and waited patiently for the day in September to come round for when I received this box. Even though the box is just plain white I liked the fact that it had it's own little logo on the front of it, I must admit I am a fan of keeping things plain and simple haha. This is what Septembers box included, it had something for everything from your face right down to your hands. The only brand that I had heard of in this box is the Makeup Revolution brand which in this case is the lipstick and obviously I had heard of the Maoam sweet. Lipstick: This is by the brand Makeup Revolution and is in the colour "Divine" it's kind of a coral/pink colour, me personally it's not my kind of colour so I passed this onto my niece as she likes bright colours. On the Makeup Revolution website this particular lipstick would cost you £1.00. 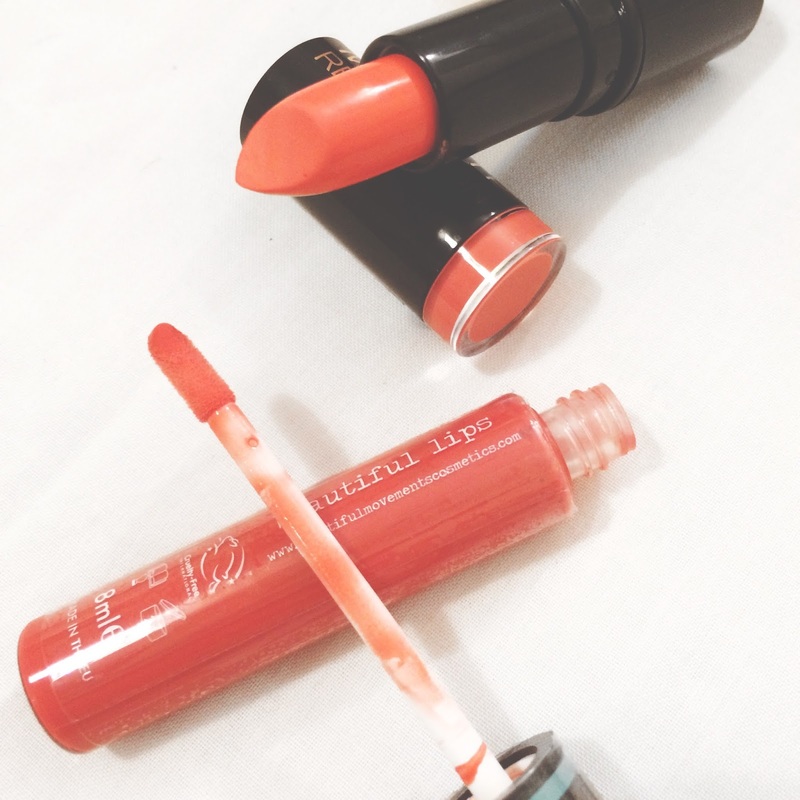 Lipgloss: The lipgloss comes from the brand Beautiful Movements and again is in a Coral colour which would go well with the lipstick, hence the reason these 2 products were probably put in this box together. Again this is not my kind of colour so I passed this onto my niece aswell. Handcream: This handcream comes from a company called Sniffy Wiffy, I had never heard of this company before but I'm definitely interested in finding out more about them as the smell of this handcream is AMAZING!. Being a nail technician I love any handcreams that make your hands stay soft and this definitely does that, the one I got smells of Mango and I'm really glad I got this one as I love the smell of Mango's. On the Sniffy Wiffy website a 120ml tub would cost just £4.00, the one in the blogger beauty box is only 30mls which is still a good size. 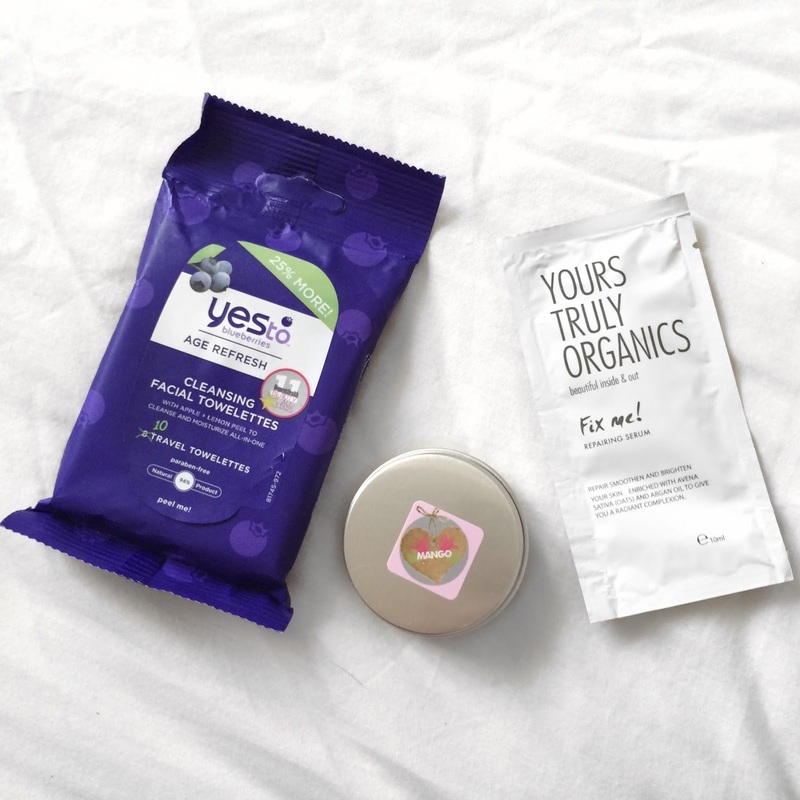 Face Wipes: These wipes come from the company "Yes To" and are the blueberries face wipes, this pack is the travel pack and contains 10 blueberry wipes. I had never heard of these before and can't wait to try them out once I've finished up other face wipes that I'm currently using. On the Yes To website this pack is priced up at $2.99 which I think is equivalent to £1.94, although I couldn't find a UK site for this brand only a US website. Face Repairing Serum: This serum is by the brand Yours Truly Organics which again I had never heard of before. This serum says its to "repair, smoothen and brighten your skin" so I look forward to trying this sample size out in the near future. On there website for the full size product of this it would set you back £28.00, in this box we only received a 10ml sachet so will probably only get 1 or 2 uses out of it. 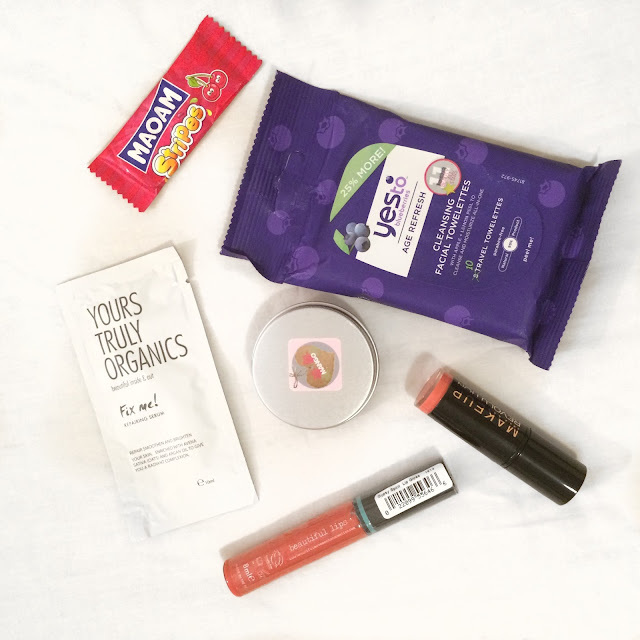 My honest thoughts on this box, I loved this month's box even if 2 of the products weren't my kind of colour, favourite thing in the box I would definitely say was the hand cream. I will definitely be purchasing a future box sometime soon, I did sign up for the October box but then I decided not to go for that one as obviously I need to put bills first before treating myself to anything and all bills for me usually come all at once at the beginning of the month haha. All links to exact products are clickable on the description of the products. Did any of you receive this months box? If so what were your thoughts on it?